Sarah is joining us this June for PodSummit, and she is bringing a wealth of radio, production, and podcast experience. She’s been working with audio since 2013 through CJSW 90.9 in Calgary. As a production coordinator, she trained station volunteers in producing their own podcasts and helped them take their ideas from the nitty gritty details of editing audio to the overall structure, conducting interviews, choosing topics and guests, and more. Sarah’s led workshops focused on polishing existing shows, what to listen for in audio, how to take programs to the next level, and what that looks like in terms of time and effort. She hosted CJSW’s podcast Yeah What She Said for five years, and currently co-hosts Scream Scene with her husband. All ideas to help you keep growing your podcast, and your audience. 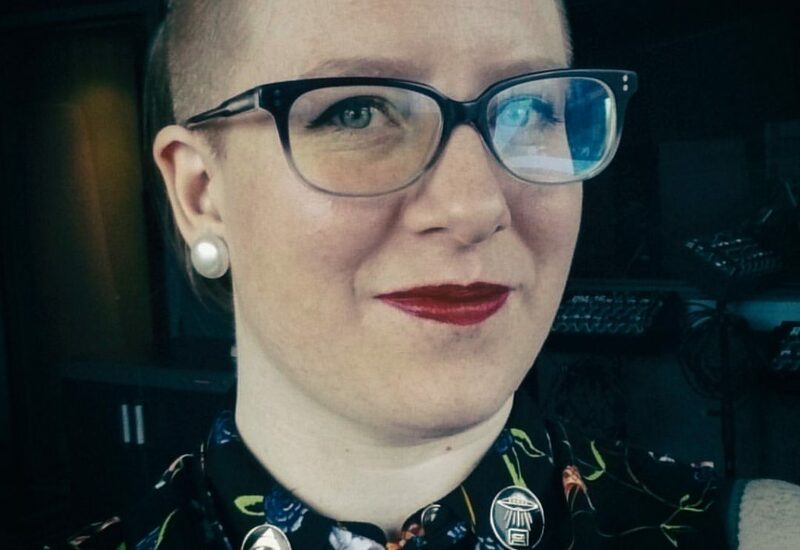 When she’s not watching horror movies for Scream Scene, Sarah hustles as an audio freelancer, producing electronic music as StegoSarahs, and working as content marketing manager with virtual reality startup Circuit Stream.